Entrepreneurs often put their heart and soul into developing the perfect product. But even the best of products fail to become a success unless they are marketed well. The online world has opened up simple and impactful ways to market various products and services. 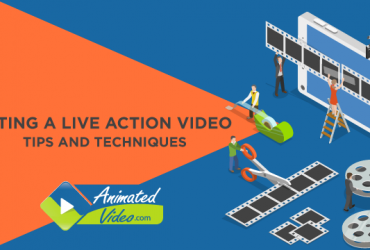 Amongst the most effective ways nowadays to grab the attention of your target audience are good animated videos for your business. These videos help highlight the key points about your company or product in a simple and effective manner. 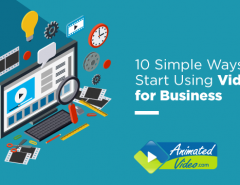 If your goal is to sell a product, explain a concept or an idea to a large crowd, animated videos are a sure shot way of keeping your target audience engaged and interested in what you are saying. Digital marketing is increasingly transforming into a competitive marketplace and it’s important for your business to stand out from the competition. An animated video can easily set you apart from your competitors since it establishes you as a creative, innovative and futuristic company. Animations do not just engage your customers; they also inspire them to actually make purchases and help your business in maximizing profits. Statistics reveal that including an animated video on your landing page can increase your conversion rate by a whopping 80%. Whether you are trying to sell clothing or books, any product can be marketed through an animated video, no matter how serious or light-hearted your product is. Nowadays, consumers engage with online video content on a daily basis. In a recent research, it was found out that one third of all online activity time is spent watching videos. Engaging your customers is, therefore, ever-important in the competitive world of digital marketing and can be regarded as the first step towards making a sale. So, you need to use content that gives you the best possible chance of effectively engaging with your customer. 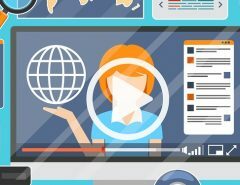 Animated videos are the perfect way to engage potential customers since they provide a way to present essential information in an attention-grabbing and interesting manner. Just like people, Google also loves animated video content. Including animated videos on your website is an excellent way to improve your SEO and can help your business to rank higher on Google searches. This makes you more visible and accessible to potential clients. Google’s algorithm for search rankings also considers the amount of time visitors stay on your website and this is one of the many reasons that animated videos have been witnessing explosive growth. What would you prefer to see in a sales meeting? A boring PowerPoint presentation or an interesting animated video? Showing an animation in a meeting is an impressive way to get your message across to potential clients and successfully close a deal. Also, showing an eye-catching animation on your stand at an exhibition is an ideal way to draw people in and start conversations with them. If a potential customer is unable to grasp what you are selling them, they surely won’t want to buy it. Animation explains the purpose and function of your product in an easy-to-understand way. The products and services offered by your company are designed to make your consumer’s life easier. Animated videos can be great when it comes to story-telling. A 90 to 120 second animated skit showing real life instances of how your products and services will make your consumer’s life so much easier will definitely work wonders for your business. Promoting your product through an animated video – whether a whiteboard animation video or a 2D animation video greatly simplifies your product. You can easily break down how your product works to its simplest form with the help of an animated video. Unlike live-action videos, animations don’t age very quickly. In live-action videos, fashions from a couple of years ago look ridiculously dated now. Choosing an animation instead will save you money as it will remain fresher-looking for longer and will need to be updated less frequently. Also, an animated video has the ability to express in a matter of minutes what could take hours to read or simply listen to. Thus, by commissioning an animated video you will save yourself precious time. As compared to live human actors, animation does not promote any particular age, race or nationality. This is vital because the internet is fast becoming a global marketplace. Therefore, your business needs to appeal to everyone, no matter who they are. As a business owner, you would want to reach out to as many consumers as possible and present them with your products or services. Facebook, Twitter and Instagram are popular social media sites that allow users to reach out to millions of people from all over the world. With the help of an animated video, you can easily spread the word about your product or services, that too in a fun and interesting way. With the help of an animated video, you can tell any story you want – how going into this business changed your life, how your product can change the life of your client, how your product gets your heart pumping etc. You can take advantage of this creative vehicle to visually display and explain to your clients what you hope to reveal about your product. Animated videos give you a golden opportunity to artistically integrate logos, color schemes, and brand images into your video. You can effectively create recurrent themes and brand icons through a series of animated videos. 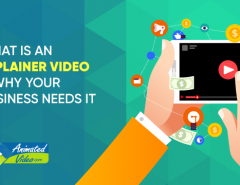 Considering the aforesaid points, animated videos are an effective marketing tool that can facilitate in promoting your business as well as your products. However, not all animation videos become a hit or go viral. You need to think creatively and try different ideas for your videos to become popular with the masses. Thus, you should hire a professional animated video company which can make the best animated videos for you. 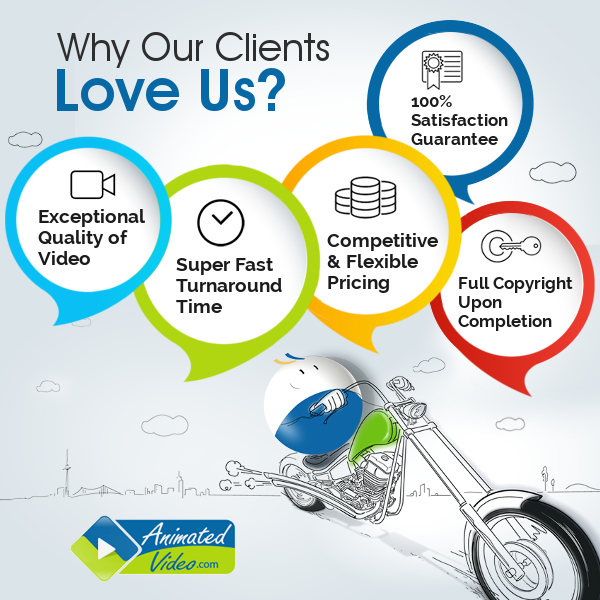 At Animatedvideo.com, we help you in creating exceptional animated videos which can help you grow your business. Our creative teams of 150+ in-house professionals make sure that all your requirements are met and you are 10 0%satisfied with our services. Till date, we have delivered 2000+ videos to 1000+ satisfied clients all over the globe. With our rich expertise in delivering design projects, we can add immense value to your brand and help take you places. 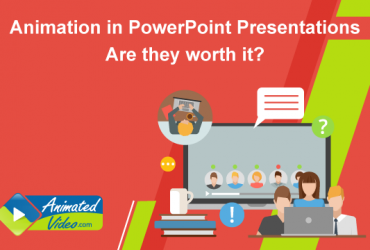 Previous Article Animation in PowerPoint Presentations: Are they worth it?